The book is launched, the cake is not a lie. So I wrote a book. And Fox Spirit have published it and it’s available now. I’m really, really happy with it and on Friday we had the official launch party. 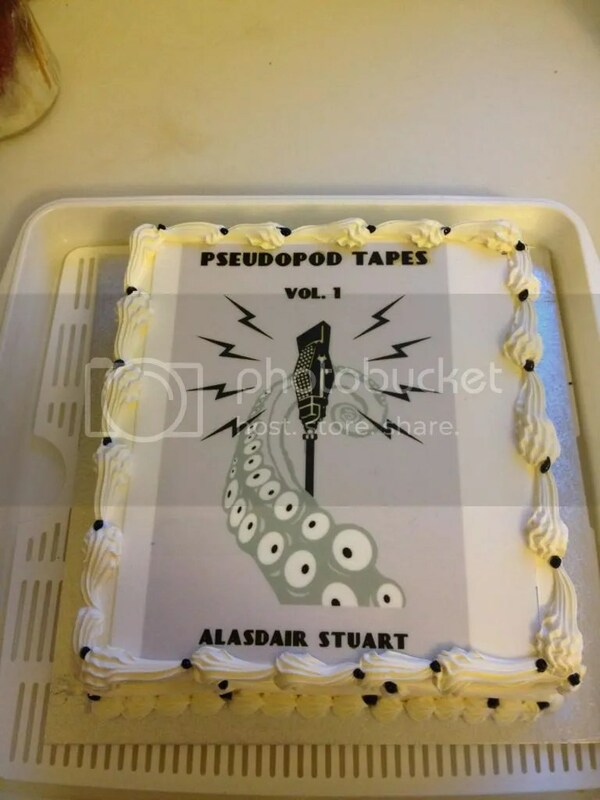 A small group of friends came round, a huge amount of chilli was prepared and The Pseudopod Tapes was sent on its way. The lovely people at Devine Cakes were able to put the cover on a cake which was apparently designed to only feed eight people, as it was the smallest size they sold. It’s two days post launch.